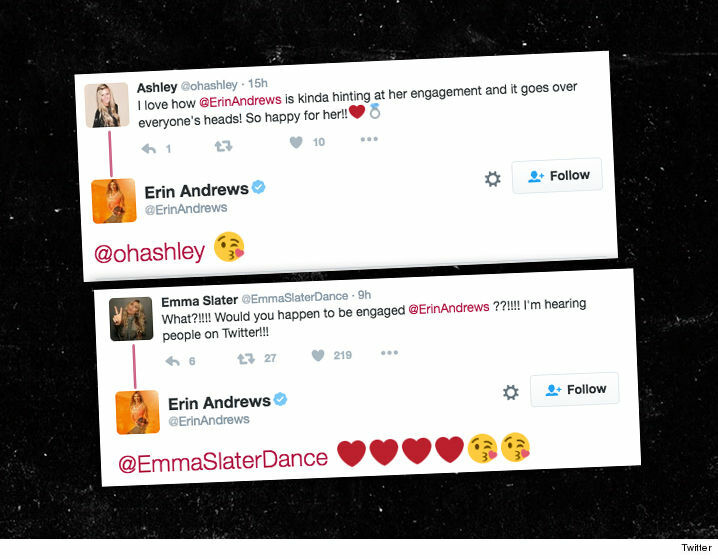 Good news for Erin Andrews … SHE’S ENGAGED (at least, that’s what her emojis are saying). Andrews has been dating NHL free agent Jarret Stoll since 2012 — and got Twitter all excited Thursday night when she tweeted a message implying he finally popped the question. When Twitter followers hit Andrews back looking to clarify, she replied with cheeky “heart” and “kissyface” emojis that seemed to confirm everyone’s suspicions. By the way, we reached out to Erin’s rep — so far no word back … but c’mon, when have emojis ever led us astray? ?